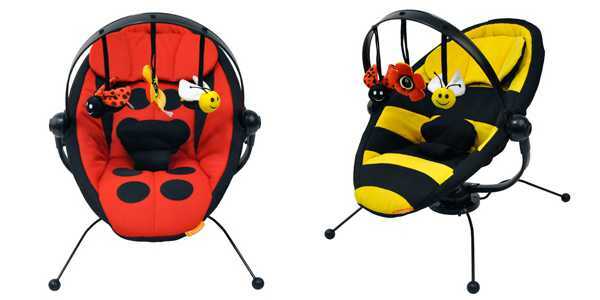 If you’re into bright colours, traditional design with a modern tweak, and flying insects, you’ll be drawn to these new bouncers like a bee to honey. Most mums and dads will tell you that bouncers and swings are heaven-sent when it comes to needing your arms back for tasks such as cooking dinner or squeezing in lunch. These adorable Combi bouncers have built-in sound, vibration and – as all good, modern bouncers should have – an MP3 input. Combi is a Japan-based company with its Combi USA subsidiary selling these new models of their popular bouncers. 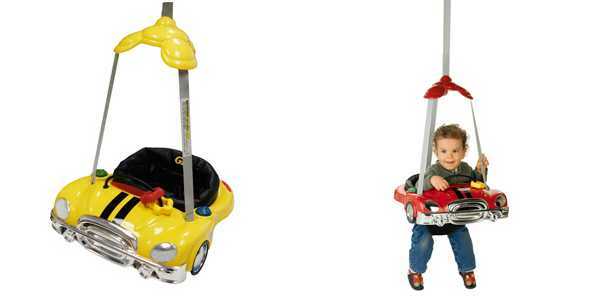 While you’re on the site, have a look at the amazing jumpers – perfect for a car-mad bub! These cute-as-a-button bouncers and jumpers won’t be making their way to Australia, so you’ll have to love them from afar or find a reshipper.